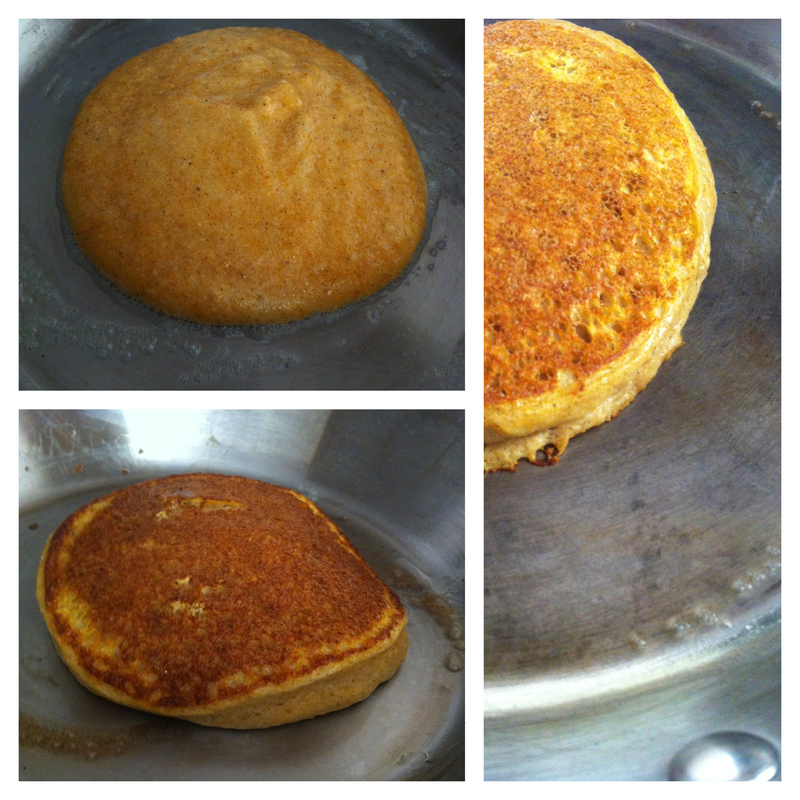 Whip egg white until soft peaks form (probably not necessary, but this step really adds the “fluff” to the pancakes. It took me just a minute with a tall glass and my hand blender with a whisk attachment). 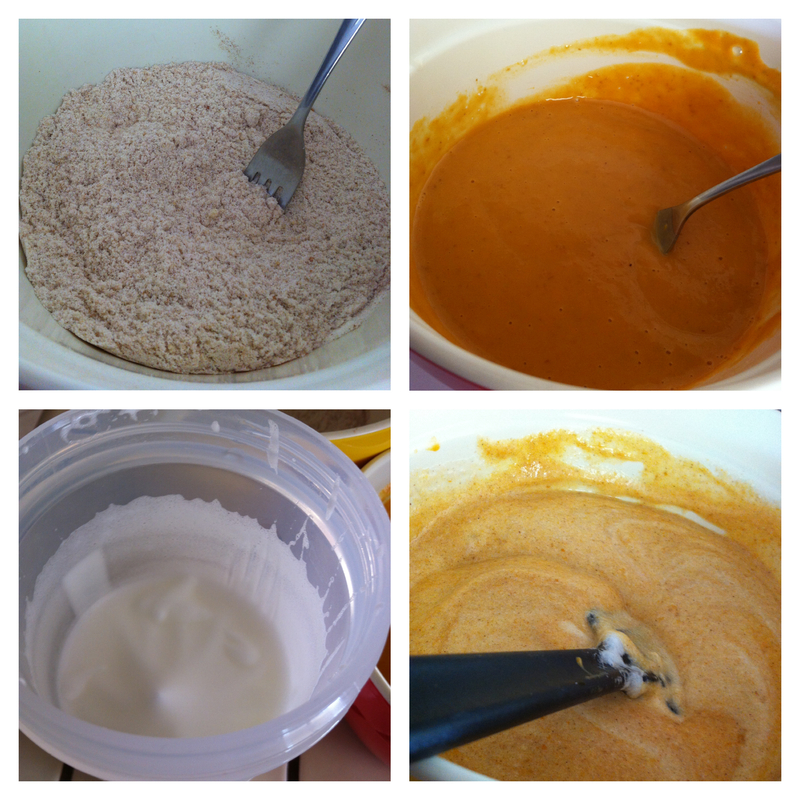 Fold in egg whites until just combined. On medium heat, with fat of choice, pour 1/4 cup servings and cook until down, flipping once (or twice if you are like me). I haven’t tried it yet, but I bet I could make mini-muffins out of these as well. Looks really tasty! I wouldn’t call it “sugar free” though because pumpkin has natural sugar in it. 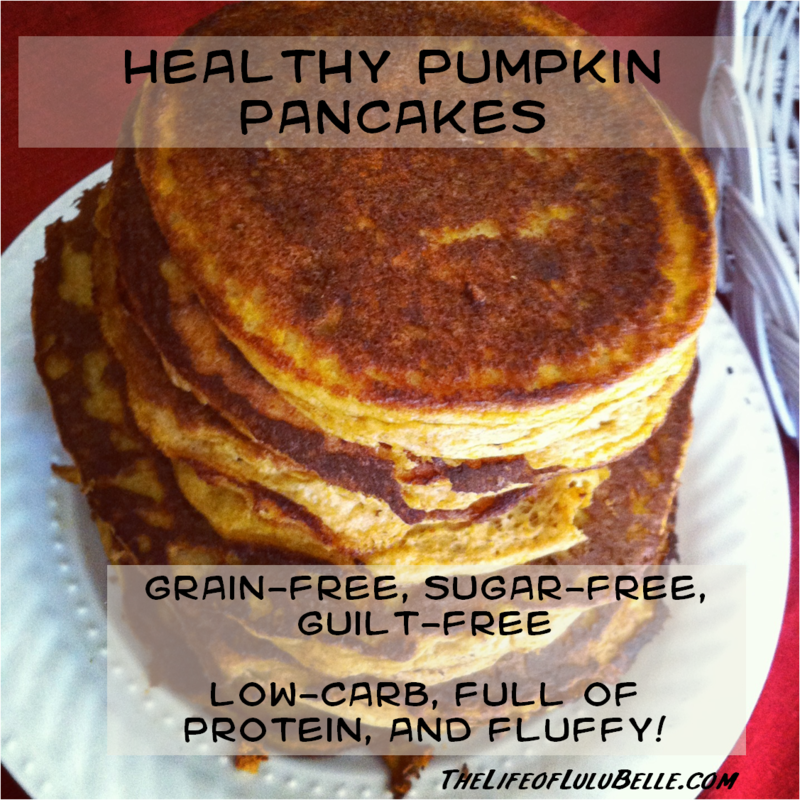 You could call it “no sugar added” or “no added sugar” pumpkin pancakes though! looks tasty! are they toddler approved? 😉 I plan on making these for quick breakfasts and snacks this week and use up my pumpkin puree! Gabe loves them! The next batch I’m going to make with a vegan protein blend I just bought. I like them with honey or maple sweetened fresh whipped cream!